Meet the new leader of the US medium tank branch - the M60A1. 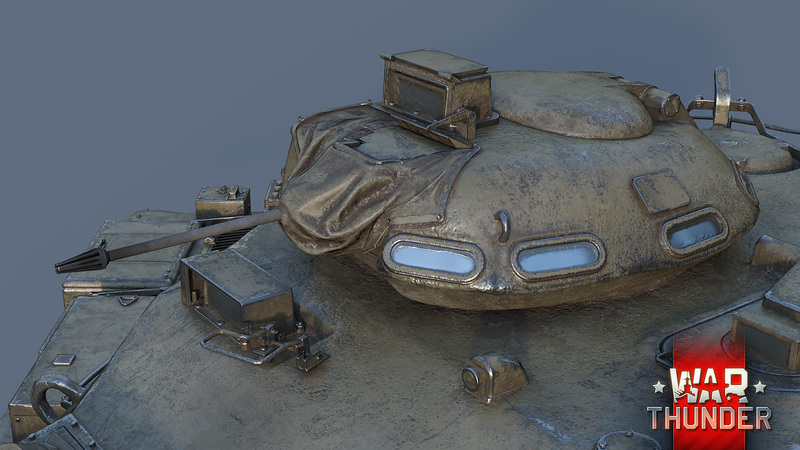 This tank will be added to the game very soon! In the very first years of the M60’s use, it was determined that the thorough modernization of the base M48A2 model on a tight schedule had led to the creation of a vehicle that was incapable of competently opposing tanks of a potential enemy. The armor protection of the M60’s turret, which had remained practically unchanged relative to the M48, could not withstand a hit from a 100 mm Soviet tank cannon. For this reason, in 1962 the Chrysler company set to work creating a new model of the M60 main battle tank – the M60A1. The primary distinguishing feature of this new vehicle was its use of an improved turret with steeper sloping angles on its frontal parts. 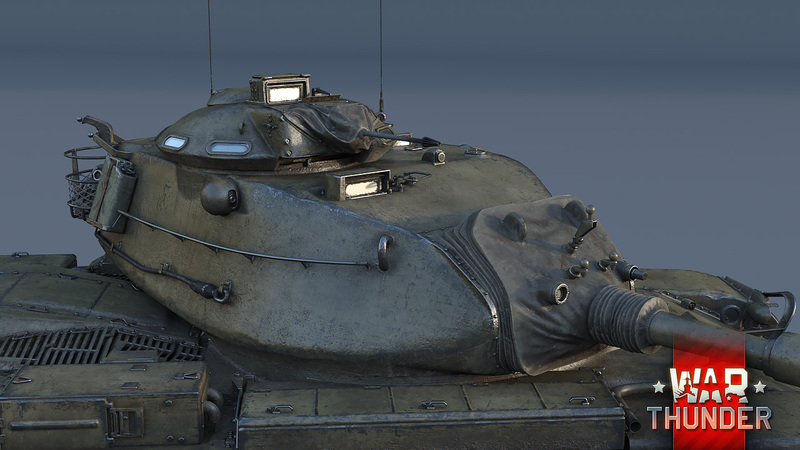 At the same time, the armor protection on the frontal projection was increased to 254 mm without the gun mantlet. The turret was equipped with a command cupola that rotated 360 degrees, with eight glass blocks placed around the perimeter for a all-round view. With the installation of this turret model, the crew conditions inside the battle compartment were also improved. Alongside this, the designers introduced changes to the fire control system, installing upgraded instruments that would allow the crew to fire at nighttime. After 1965, the M60A1 additionally received the latest M16 ballistic computer. Even the tank’s control systems were modified. Apart from the new equipment and instruments, an improved hydraulic brake actuation was installed for the power train, along with a mechanical stopping brake. The suspension received telescopic shock-absorbers on the lower track rollers. But the improvement of the M60A1 didn’t stop there. The American leadership was forced to introduce new modernization programs at speed due to the appearance of new models of armored vehicles in the USSR. 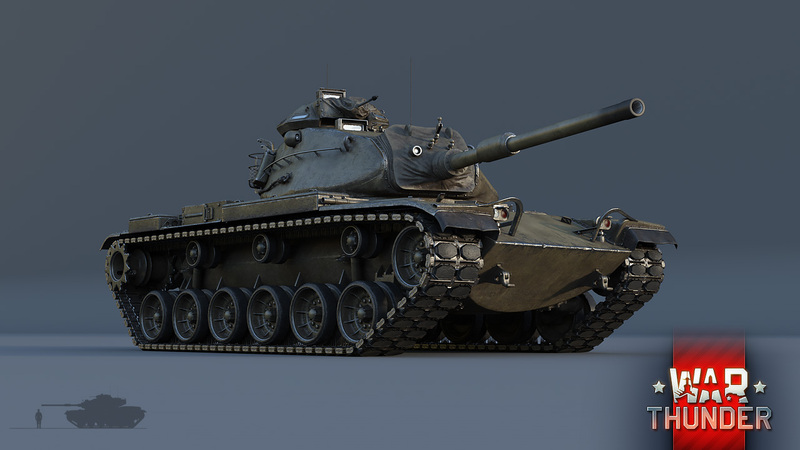 In War Thunder, the M60A1 will take its place as the top US tank in the medium tank tech tree. If the basic M60 was a well-balanced tank with good weaponry, a fast reload speed and comparatively good armor, then the A1 version allows the player to play more aggressively without fear of direct hits from enemy shells on many sections of the armor (primarily on the turret). Thanks to the increased thickness and angles of the armor, the shells of many tanks (including the T-54) can ricochet right off the frontal projection without injuring the crew or damaging internal modules. As before, the vehicle can use the classic tactics of a medium tank, taking advantage of its maneuverability and armament for flanking maneuvers or quick position changes. 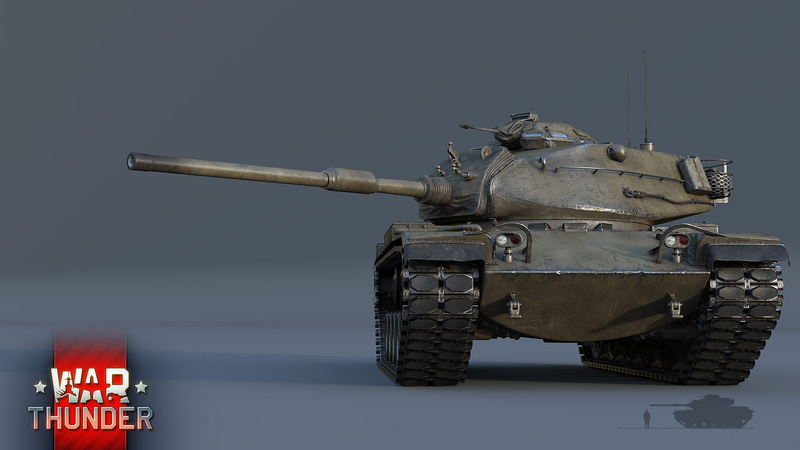 The M60A1 also provides the opportunity to extend your ‘life’ on the battlefield and increase your tank’s effectiveness, as it is far harder to knock the tank out with a frontal strike from medium or long range. Similarly, it is harder to destroy it with a random shot against the turret. The opponent must spend precious seconds aiming, and the player can use this time for a counterattack or retreat. 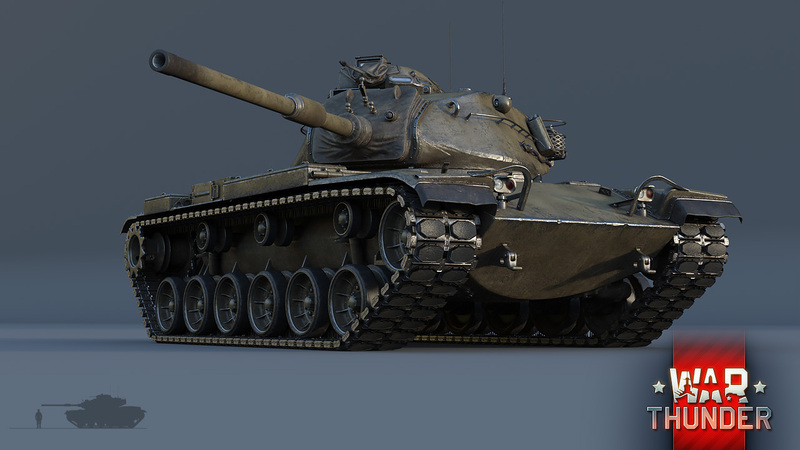 t54 1951, m60 1963, leo 1963, chief 1966 "russian bias"
Nice.I really wanted that.Thanks for adding M60A1.Now I have one more 5rank vehicle to research. STIL NEW CONTENT, BUT WHAT THE GAME FIXES ??? FOR ODL BROKEN MECHANICS ??? the people who make the new tanks / aircraft are not the same people that do BR and balance work. Artist creating new vehicles does not interfere with game balancing or flight model tweaks in any way. Tac_the_Pilot, Yeak Like Tac says, you shouldn't blame on these artists and web uploaders for that. They are totally different people working in different departments, if you get any hint how the system works. Fixes are carried out constantly. And as others have said. Those that fix the issues are different staff to those that build the new models. It is possible to walk AND chew gum at the same time you know. These things are not mutually exclusive. KnightoftheAbyss, I've been seeing the same decal issue for 6 months now....*cough cough*...I am very excited for this tho. We also need the M48a5 ASAP plz! Why lol. The original Leo is quite the American killing machine. The M60 i an equal match to the Leo. Germany doesn't need to have the top gun in this game. I spent quite a lot of time grinding my M103 with its HUGE gun that I thought would be able to take out German tanks whilst bouncing shots off of its heavy armor. To my GREAT disappointment, the Leo is my primary fear on the field and still cost me a LOT of lions every time I bring it out. Sit this one out Leo fans, next update maybe. T-62 now pls. My T-54 has enough nightmares of Cheiftain and Leopard 1s. And think You T-62 will be much better than T-54? It's just a bit faster and better gun, turret front just 214mm. And it will be russian vehicle! 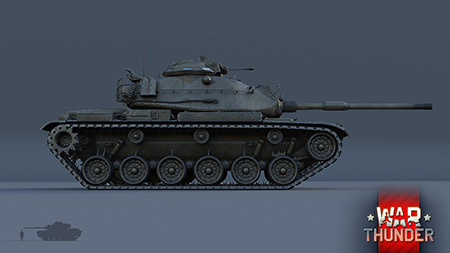 Is it possible we will get the M60A1 (AOS) in the form of a modification or something? US will be the only nation with a MBT with no stabilizer if the AOS is not added. Actually, some developers from Gaijin already said in the last major Q&A that 1.61 is probably gonna be an overall conclusion for Ground Forces at this point. Ground Force will be further completed by 1.69 and that's probably it. I mean...of course more stuff will be added in Ground Forces, but the majority is probably gonna shift to something else, maybe Air Force, but highly possible Naval Forces. Partisan_Cheese, I know it would be so badass to fight in warthunder with modern tanks and maps, That would be the best game of all time, Modern jets and tanks.. What a game that would be! Any plans for adding the Starship? ARSNova, Like many other tanks in the game. It also works the other way around too. t62 NOW!!! cause when the top ussr medium tank is from 1951 and this thing is more than 10 years newer it is somewhat wrong, isn't it? T-62 with 115mm is confirmed, and I can guess it'll be this patch. 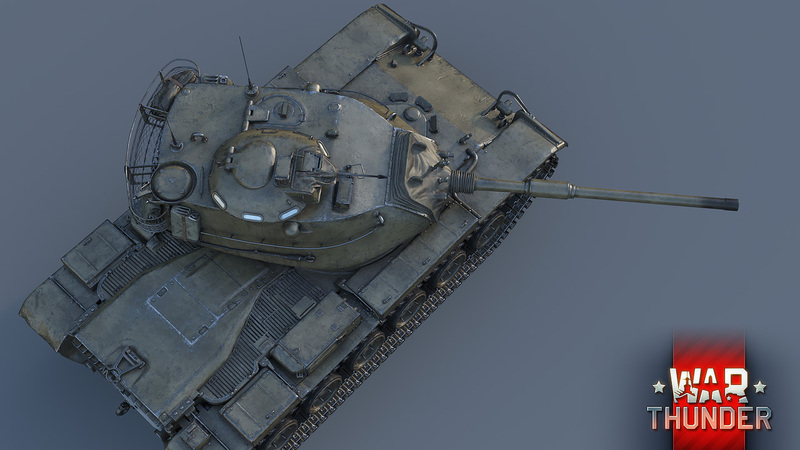 The T-54 1951 though fires 1960s ammo with the HEAT-FS round.